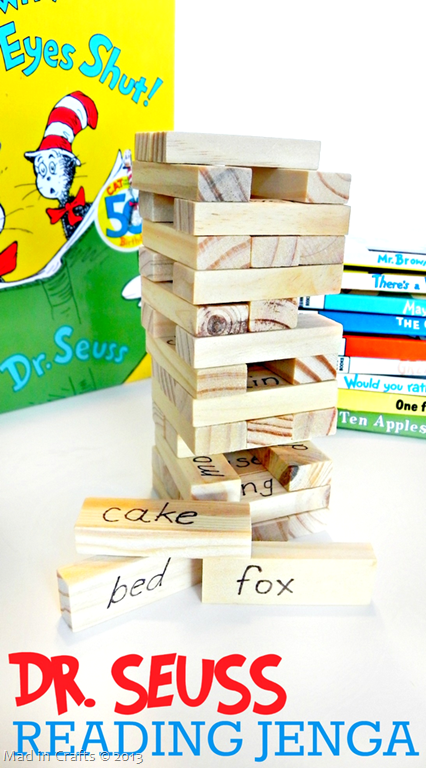 I put together a few simple Dr. Seuss games for the kids to play while the adults visited at my daughter’s party. 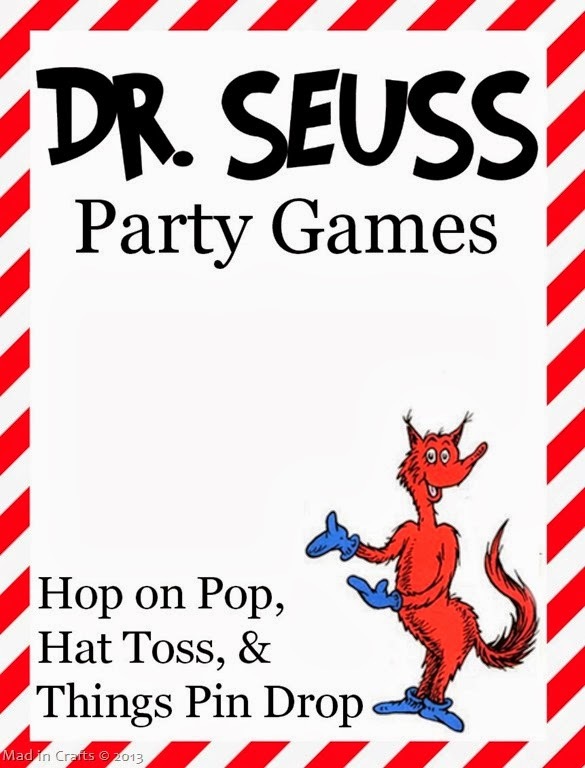 The games are based on Hop on Pop and The Cat in the Hat – two classic Seuss books. 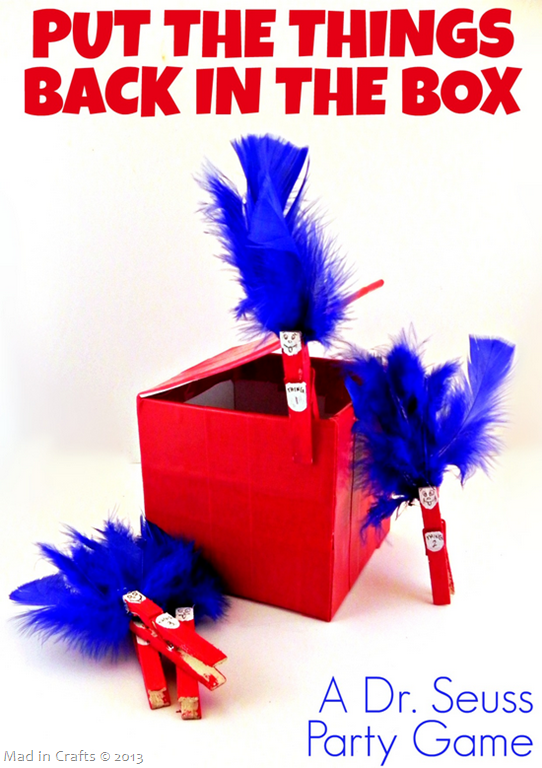 These Dr. Seuss party games would work for a Seuss birthday party or a classroom party celebrating Dr. Seuss’ birthday in March. 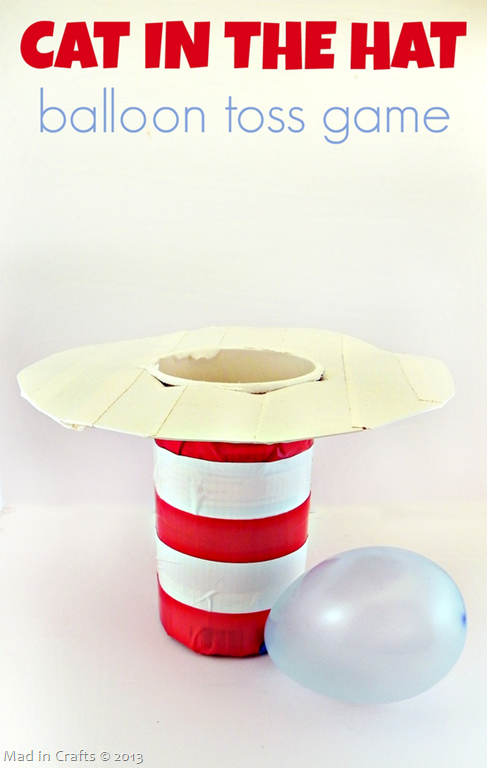 Kids will love trying to toss objects into the Cat’s hat! 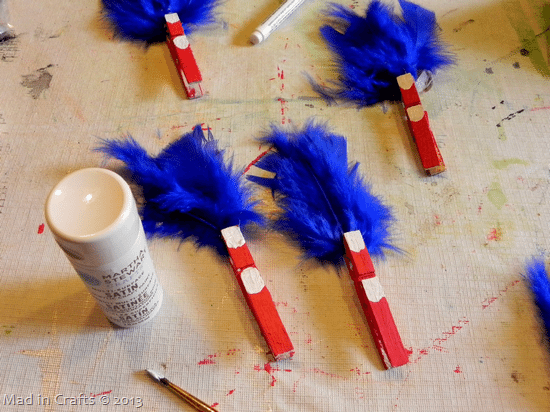 We were originally going to toss small balloons, but I found some red, fluffy poms in my craft stash that worked even better. Anything that is small enough to fit in the hat would work for the game. I traced a dinner plate and cut that traced circle out to make the brim of the Cat’s hat. I covered the circle with white duck tape, but you could also paint it (or just leave it if it’s already white). 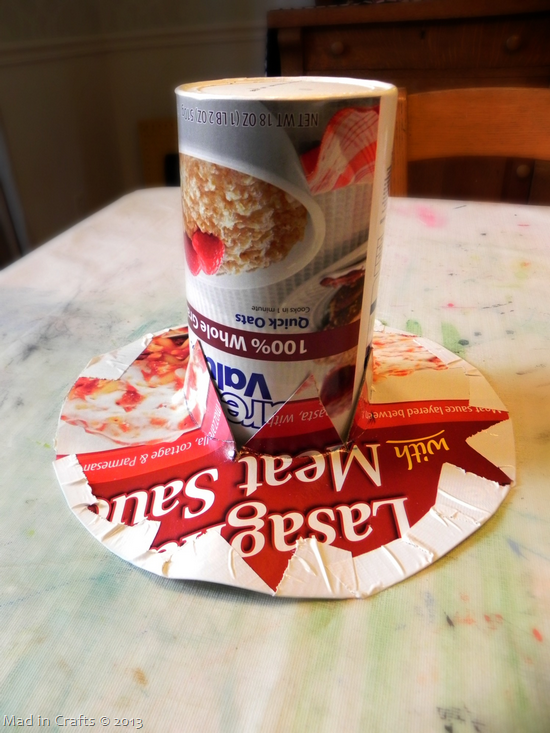 I traced the lid of the oatmeal canister onto the center of the cardboard circle and cut the interior of that smaller circle into sections. The brim of the hat then fit snuggly on the oatmeal canister. 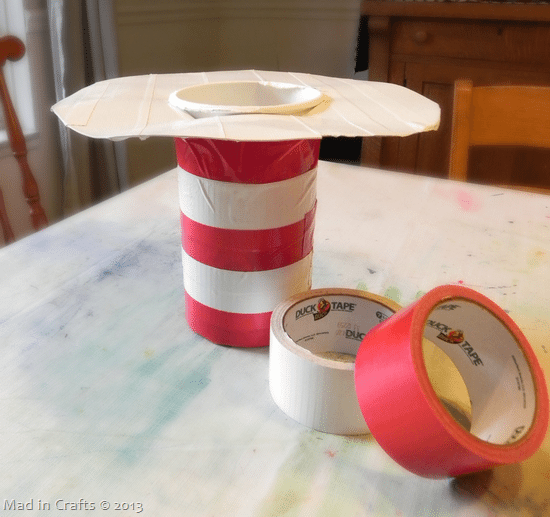 I used red and white duck tape to create the hat’s stripes and tape the brim to the hat. The children stood a few feet away from the Cat’s hat and tried to toss the poms into the hat. 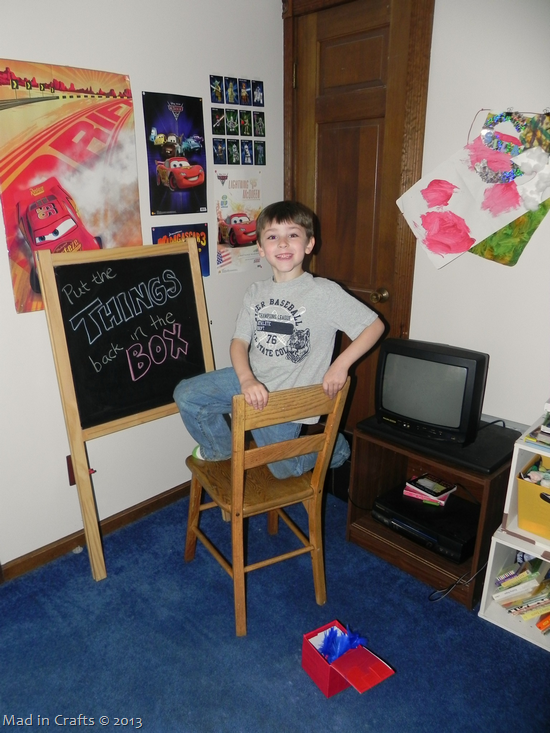 I was able to make a fun pin drop-style party game using things I already had around the house. The object of the game is to get those mischievous Things back into the their box. 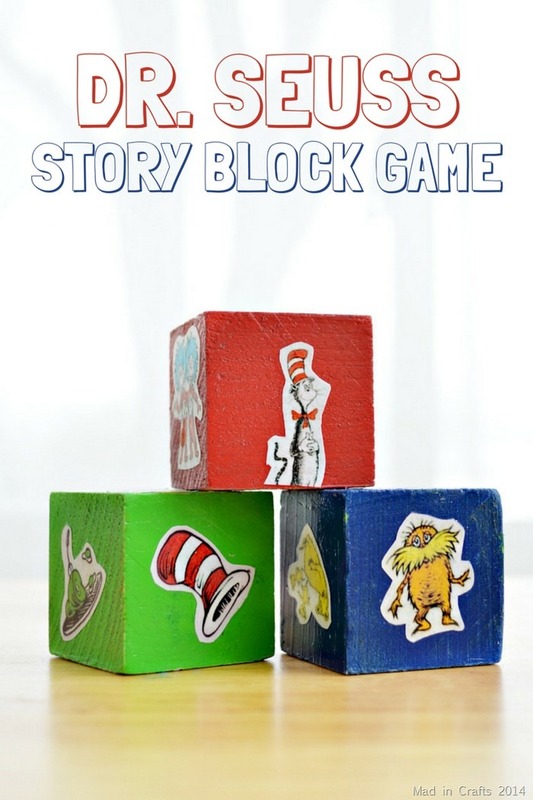 This game is great for preschoolers and primary grade aged children. 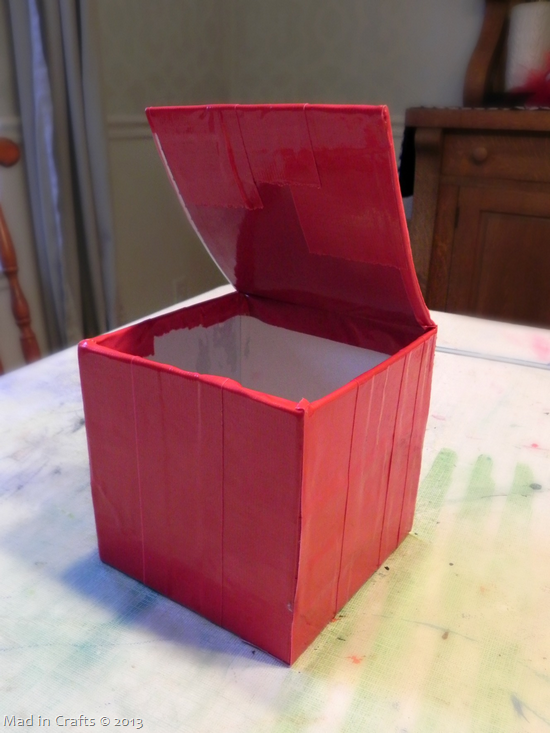 I had this small lidded box in my craft room from a Valentine’s gift from a few years back, and it was the perfect shape for Thing 1 and Thing 2’s box. Any small box, with or without a lid, will do. 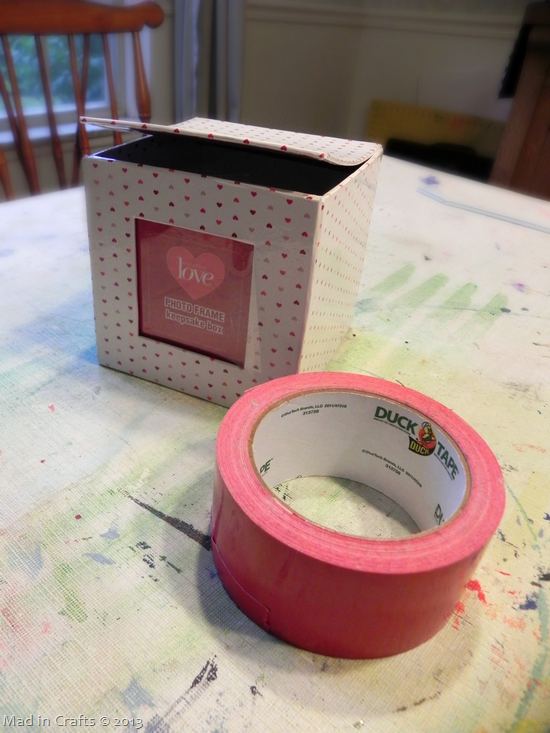 I had the red duck tape on hand, so I used that to cover the box. 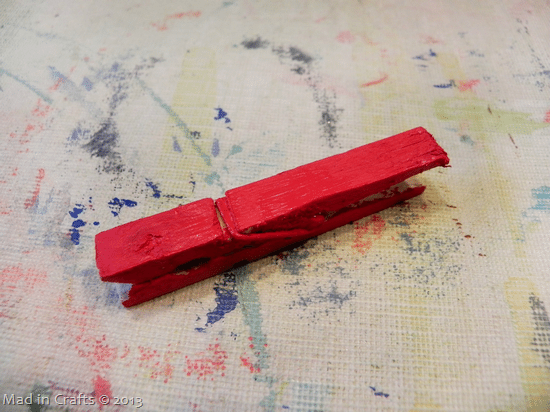 Craft or spray paint should also work. 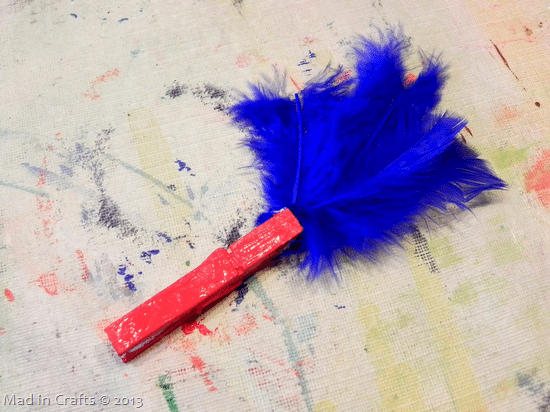 Squirt a dollop of craft glue in between the pinchy part of each clothespin and stick in some blue craft feathers. Use white craft paint and a black permanent markers to add the faces and bellies to your Things. The kids knelt on a chair and tried to drop the Things back into their box! 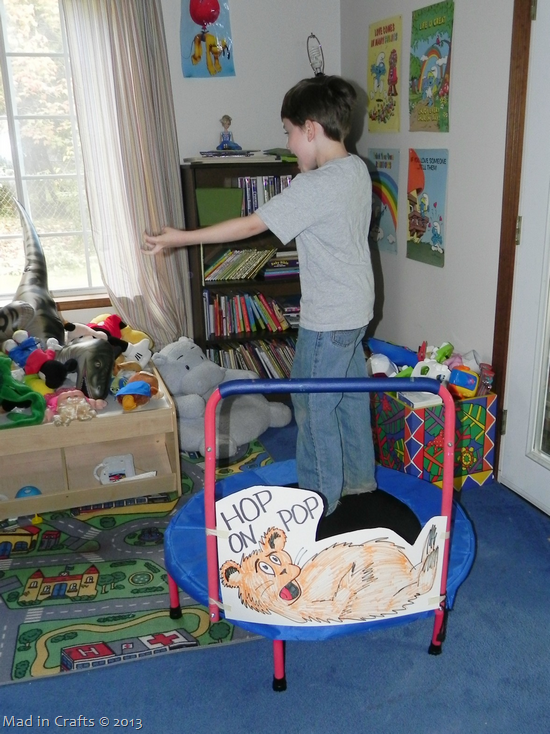 Lastly, I made a Hop on Pop activity by adding a drawing of the Pop from Hop on Pop onto dollar store poster board and taping it to the kids’ trampoline. It’s always good to have a place where the kids can wear off some of that cake and ice cream energy!